Jake McVey can be booked through this site. Jake McVey entertainment booking site. Jake McVey is available for public concerts and events. Jake McVey can be booked for private events and Jake McVey can be booked for corporate events and meetings through this Jake McVey booking page. Unlike most middle agents that would mark up the performance or appearance fee for Jake McVey, we act as YOUR agent in securing Jake McVey at the best possible price. We go over the rider for Jake McVey and work directly with Jake McVey or the responsible agent for Jake McVey to secure the talent for your event. We become YOUR agent, representing YOU, the buyer. In fact, in most cases we can negotiate for the acquisition of Jake McVey for international dates and newer promoters providing you meet professional requirements. Playing guitar since he was nine years old, Jake McVey brings together a technically-trained background with a dynamic singing voice. Performing professionally for the past four years, 25-year-old McVey brings together the best of old country with the dynamics of new country. Having performed in the regional Tri-state area of Iowa, Illinois and Missouri, McVey has just entered the Nashville scene and expanded to engagements in Colorado and Arizona. In 2005, Jake was nominated by the Illinois Country Music Association for New Male Vocalist of the Year and the Lead Guitarist of the Year . 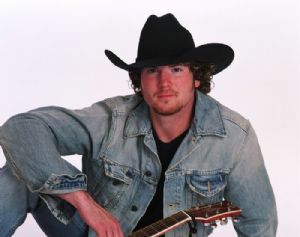 In the fall of 2005 McVey and his band won in the first round of Colgate Country Showdown, America's largest country music talent search. McVey Trained at the Roberto-Venn School of Luthiery in Phoenix Arizona. McVey's playing reflects the intricate relationship of builder to instrument. His clear, Midwestern vocals are enhanced by the back up of some of the regions best instrumentalists and vocalists. McVey's recently released CD Unknown Highway features guitarist JT Corenflos, guitarist for Gretchen Wilson on her All Jacked Up recording. His drummer Dennis Holt, plays for Kerry Livgren A.D. formerly of Kansas' Dust in the Wind fame now making it big in the Christian rock arena. McVey's fiddler Tammy King plays for Allison Krause, while his keyboard player on Unknown Highway, Jimmy Nichols plays for Reba McIntyre and Faith Hill. Reba's bass player, Spady Brannen can also be heard accompanying Jake on the CD. This recording was produced by J. Gary Smith, who has worked with such music notables as Merle Haggard, Willie Nelson, Johnny Cash, Waylon Jennings and Bonnie Raitt. Smith recently produced Andy Grigg's You Won't Ever Be Lonely CD. Jake joins with PaP Johnny McCullum in the creation of several of the songs recorded on the CD. Pap has written for Toby Keith and Clint Black, James Brown, Farron Young and John Michael Montgomery. Fans of Jake can catch him Dak Alley's recent music video Moments That Take Your Breath Away , recorded in Nashville and he will be in the upcoming movie, Operation Blue Suede. Book Jake McVey for your next event! Would you like to have Jake McVey perform at your next corporate event, party or concert? Simply fill out the simple interest form below, and we’ll start the booking process.